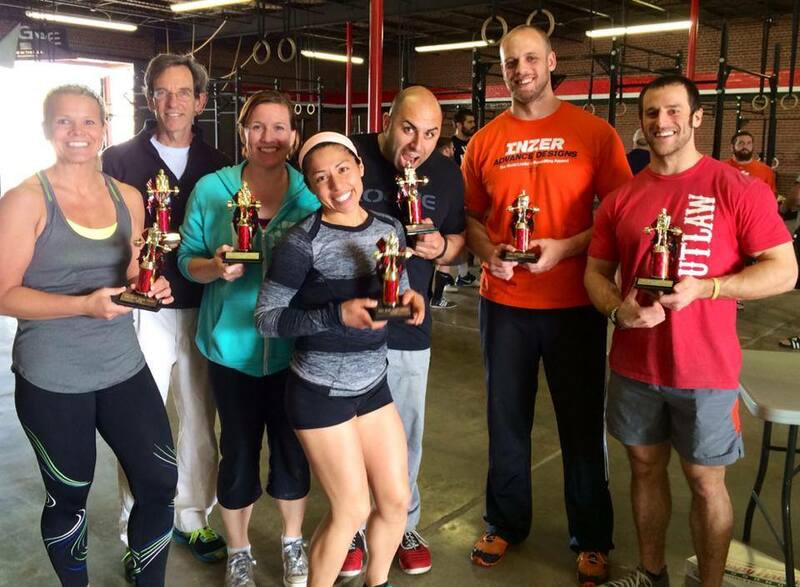 Congrats to our athletes who competed in Saturday’s Power Lifting Competition! We had so many PR’s and 6 out of 8 of our lifters were competing for the first time! Chrissy put 15 more pounds on her back squat finishing at 185 pounds and pulled her last dead lift at 225 for a 10 pound PR! Gaby upped his squat by 10 pounds, making his final successful attempt 475 pounds! He also PR’d his Dead Lift by 10 pounds at 545! Lauren hit an easy 225# back squat, a solid paused bench press at 120# and a smooth dead lift at 250#! Matt Stolz’s squat increased from 425 to 435 and he PR’d his deadlift by 15#, pulling 540 from the ground! David Glenn, who is in competition with Mark Stone for the Quietest Power Lifter Ever Award, put 10# on his Back Squat with a solid 380! We have restructured the class schedule to create more options for our athletes while continuing to foster a strong community where EVERYONE is included! Check it out here and please remember to preregister for class! Try the mobile app, MindBody Express, on your smartphone! If you are new to CrossFit, need more scaling options or are not doing CrossFit for the sport aspect of it (someone who wants to stay active and reap the benefits of working out in a CrossFit environment, but has no desire to compete…yet), we would suggest following the Fitness WOD. The Performance WOD is designed for the experienced CrossFitter, athletes of all ages who are interested in competing at the local level level, The CF Open and/or Regionals/CF Games and who have been training with us long enough to be aware of appropriate scaling options. New Class Descriptions can be found here. Weekday Olympic Lifting has been moved to Thursdays at 5:30pm! We hope more of you can make it since we have changed it to a later time.